Here has been told how they could make it in 2012. How to fix the accommodations and different structures and fees together with the historical views on how to fix the monies situations for the poor so they can be a part of the higher education in South Africa. Because if there will be bridging the gap and getting more people education there will be over time strengthening the manpower and levels of technical production. Also there views and patterns of society will generate more people an opportunity to be educated and gain more for getting the low-income parts of the citizens to rise into another social bracket and bring more of their own with them as people do when they get into a great and better situation. Let’s take a look at the government of South Africa’s lost key! “The White Paper (1997) recognizes that South Africa’s stark income disparities were a barrier to higher education enrolment, and argues that the direct cost to students be proportionate to their ability to pay. This basic principle underlines the imperative that access by poor students must be subsidized by the state through a system of financial aid. 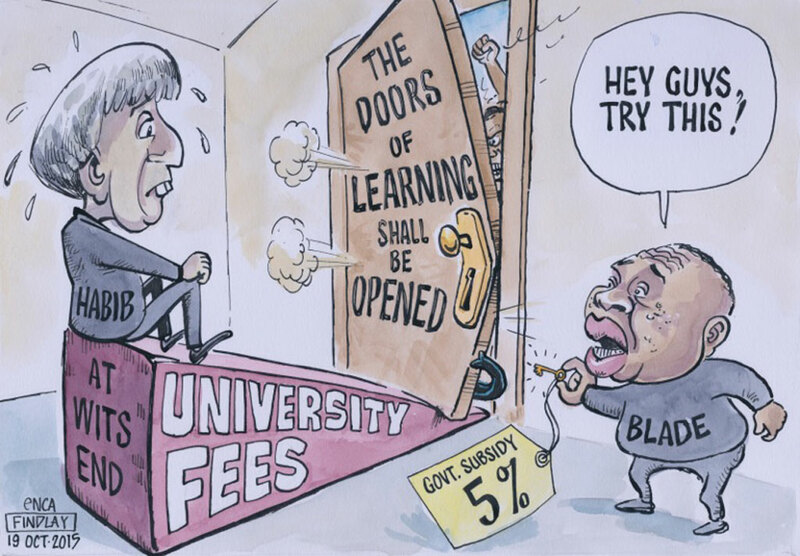 Arguing against the idea of a general system of fee-free higher education, the White Paper instead proposes a state-funded student financial assistance system that has since became known as the National Student Financial Aid Scheme (NSFAS)” (Report P: V). “The White Paper immediately adds, however, that it is important that “the direct cost to students should be proportionate to their ability to pay” and that “financial need should not be an insuperable barrier to access and success in higher education”. Referring to the need for “a realistic fee structure”, it explores options for the provision of student financial assistance for poor students” (Report P: 5). “Finally, the Green Paper for Post-School Education and Training (DHET 2012) outlines government’s intention gradually and carefully to expand enrolments and participation rates at universities, so as to cater for 1 500 000 students (at a participation rate of 23%) by 2030 (DHET 2012: x). Government aims at the same time to phase in free undergraduate university provision for the poor, “building on the progress already made in expanding financial aid through NSFAS” (DHET 2012: 5). The reference here to progress already made is to the conversion of NSFAS loans to full bursaries for those students who complete their final undergraduate year successfully. The DHET envisages that “this programme will steadily be introduced to cater for students in the pre-final years” (DHET 2012: 48)” (Report P: 9). “University education, because of its intrinsic characteristics, and as compared to the basic and secondary spheres of education, is a costly social service. It directly benefits a fairly small segment of society at any one time, and indirectly benefits society which makes use of their knowledge and skills” (Report: vi). “Historically, although the idea of ‘free’ access by the poor to higher education, and the role of the state in its provision, is relatively new to South African policymaking, it has a relatively long track record in many other countries. In the last century, especially since the 1920s, this basic idea – of providing access opportunities to the ‘children of the working class’ to traditionally elitist universities – has preoccupied policy-makers in many parts of the industrialized world” (Report P: 12). “In 2005 the Department of Education reported that of the 120 000 students who enrolled in higher education in 2000, 36 000 (30%) dropped out in their first year of study. A further 24 000 (20%) dropped out during their second and third years. Of the remaining 60 000, 22% graduated within the specified three years duration for a generic Bachelors degree (Letseka and Maile 2008: 5)” (Report P: 33). “The Ministerial Review argued that in order for the current system of student financial aid to realize its potential fully, it must overcome a number of challenges. The first of these challenges is the use of race as a proxy for socio-economic need, which, in terms of the current formula, results in unequal institutional allocations, with historically advantaged institutions with affluent black students receiving the same allocation as historically disadvantaged institutions with many poor black students” (Report: vii). “South Africa does not have an official singular definition of the poor, with different government departments using different definitions. Statistics South Africa and the National Treasury have proposed a poverty line based on ‘the money income needed to purchase a nutritionally adequate food supply and other essential requirements’” (Report: ix). “”[f]ree university education means that workers on low to average wages substantially subsidize the university education of the children of higher income families, whom as a result of their university education will, on average, receive much higher incomes. Therefore, ‘free’ university education involves a substantial transfer of money from low income to high income households” (Li 2011:467). On the other hand, the probability of going to university is higher for children from middle class families. The result, however, is contingent on the taxation and other policies in the country in question, as a graduate tax, for instance, could offset some of these effects” (Report P: 14). “The Ministerial Review of NSFAS estimated that NSFAS would need at least double its budget to meet even current demand (DHET 2010: 16). If participation rates were to increase, significantly more funds would be required. Unfortunately, government funding of public universities has been on the decline over the past decade: according to the Financial and Fiscal Commission, drawing on HEMIS and DHET data, the share of government grants in the total income of the public university system fell from 49% in 2000 to 40% in 2010, with both tuition fees and private or third-stream university income increasing to compensate for this decline. Expressed in terms of the number of enrolled students, government funding per full-time equivalent student fell by 1.1% per year in real terms between 2000 and 2010, while over the same time period, tuition fees per full-time equivalent student increased by 2.5% per year in real terms (FFC 2012: 53-4)” (…)”NSFAS faces several major challenges. First, it receives insufficient funds from government to meet the growing demand for financial aid by poor students. Second, it has been badly governed and managed since its inception. Third, the very high dropout rate attests to the fact that NSFAS has not addressed the key issue of ensuring that access is accompanied by success (Report P: 27). “Other than historical factors and the inefficiencies of the school system, the present higher education funding architecture is a key reason often identified as an obstacle to an expedited expansion of higher education access. The higher education funding regime is currently characterised by declining real per student funding, for which universities have sought to compensate by, inter alia, regularly increasing tuition fees. This in turn has put pressure on NSFAS which, unfortunately, has not been able to adequately support all qualified and deserving students (Wangenge-Ouma 2012)” (Report P: 29). “Furthermore, it would be wrong to assume that education functions best as a ‘free market’. While universities do compete for the best students, they do so not on the basis of price but rather on political, social and educational criteria; this can never be a meaningful buyer-seller relationship. University places are limited and students are selected on merit, not buying power. Policies whereby funding follows individuals, and to this extent are focused on individual advancement, may need to be balanced against policies which build state provision for the long-term benefit of society” (Report P: 37). “Creating a higher education system characterised not only by increased participation and reduced dropout but, above all, free undergraduate study for the poor, will not be cheap. By definition, the households of poor students will not be able to share in any of the costs associated with university study, and even the households of slightly less poor students will be able to contribute only a small portion. Simply to make it possible for the 2013 cohort of students, for example, to begin receiving free university education, will require that NSFAS be given the financial muscle to advance loans of about R14 billion in 2013 prices” (Report P: 48). “Funding for free university education for the poor should be obtained, at least in part, from the funds of the Sector Education and Training Authorities (SETAs) and the National Skills Fund (NSF)” (…)”Although in some instances these SETA funds are already being used for bursaries, short course skills programmes and internships, and notwithstanding the fact that various private sector companies and public service departments already support poor students in these ways, it is important to ensure that these funds and support, along with portions of corporate social responsibility funds, are organised and managed under a single, NSFAS umbrella, rather than being disbursed, as is often the case at present, in piecemeal and uncoordinated ways” (…)”For example, the private sector, and perhaps especially the large financial institutions, as well as international donors, may be willing to offer reasonable loans, if state guaranteed, to poor students who are in their final year and who have demonstrated their current dedication and future earning potential” (Report P: 50). This report has the answers to how they can implement free-fee or proper pricing of the higher education in South Africa; certainly the issue of not implementing it or even releasing it, because yesterday I read through the final draft of it. There were more things to high light from the report it had also the difference ways of giving the fees and how to repay the fees that are in the countries, but in the recommendations that didn’t look like a consideration of the department. The main issue is that they was offering a advice on building on the already set function of the National Skills Fund and Sector Education and Training Authorities. The cost of dropouts already in 2012 has to be about the same today and since they have implemented anything towards the cost of being a student while the intuition fees are running higher. Therefore when you already have a costly functioning system, than it should be open for greater part of the citizens of the country, not just the upper echelons of society. That is an issue in many countries. The Republic of South Africa is not alone in that matter. What they might be alone in, is that they have the keys to the door, but don’t want to open the door. To open that door takes action, a certain level of moments of the characters and institutions. Also the government needs for facilitating and budgets to sustain the free-fee programs; which might lead to somebody in central government actually opening the door to the other place. That can happen if somebody or a government body has the ability to implement the key into lock of the door. So long as the door in locked and even with the key in hand. It feels like a missed opportunity to give something to coming students so they can evolve and gain maturity through studies they usually wouldn’t have the economical capacity to get into the campus life or studies in general, because even if the candidate for studies has the ability as a person to study, but not the money, then the state of South Africa is losing over time qualified workers and educated personnel that they could have gotten. So now it’s up to the ANC to live up to their heritage and tradition. If that still means something or the only means right now is to build mansions for the new elites instead of building a growing society of prosperity for more of the citizens. Bond the different levels of society from youth towards pension age. This here isn’t easy at all, to build something sustainable and use the funds and opportunities for the general public to gain. The main issue is that they had the KEY at hand to OPEN the DOOR if they wanted to since 2012! ANC could have put things and movement into place and in the right forums to adjust and implement structures to secure a better level of studies for the POOR, even if the Republic of South Africa doesn’t have an definition of POOR. So now we all can ask, because this was draft and never intended to release from the Department of Higher Education which is under Blade Nzimande the minister has had this position since 2009. So he must have known about this all along. And what I wonder about now is there more departments in the Zuma ANC regime who has more lost keys to official issues or structural reforms that can build society stronger, or is just one lost KEY? And if so, please ladies and gentleman tell me. Nothing is as good for a transparency and accountability as shedding the light on the matters that the governments and ministries, and government bodies that they don’t want to tell. Because that might shift the moves of the men and woman in power, also gives them a smack that they need so they can use the KEYS and not just relax in the government buildings instead of doing their civic duty! Peace. Republic of South Africa – Department of Higher Education and Training: ‘REPORT OF THE WORKING GROUP ON FEE FREE UNIVERSITY EDUCATION FOR THE POOR IN SOUTH AFRICA’ (Oktober 2012) – Final Draft.